Successfully Added LeEco Le Pro 3 Android Smartphone - Snapdragon 821 CPU, 4GB RAM, Fingprint Sensor, 16MP Camera, 4G, Android 6.0, 4070mAh (Gold) to your Shopping Cart. The LeEco Le Pro 3 is an impressive large screen smartphone, the highlight being its usage of the new Snapdragon 821 processor running at an amazing 2.35GHz. When you add to that the 4GB of RAM and it's easy to see why the LeEco Le Pro 3 is a master of games and media. Without a doubt, the LeEco Le Pro 3 is suitable for even the most demanding users. There are reports it even scores over 150,000 on Antutu tests putting it in the upper echelons of high-end smartphones. As this phone can handle media and games so well there is no wonder it has a large 5.5 inch screen boasting FHD 1920x1080 resolutions so as you can get the best experience. Like many of the performance smartphone today the LeEco Le Pro 3 comes with an all-metal body and truly glistens with its polished finish. This creates a refined look that is further complimented by the 2.5D arc glass screen. When it comes to cameras those on this 5.5 inch smartphone are nothing short of extraordinary. while the front camera is a respectable 8MP is the rear shooter that grabs all the attention. This Sony IMX298 16MP camera has an F2.0 aperture, PDAF, with autofocus and boasts a double color temperature flash so you get remarkable images in all light conditions. It doesn't end there, this rear camera is capable of recording in 3840 × 2160 (4K) resolutions at up to 30 frames per second (FPS), or for action video 720p at up to 120 FPS. 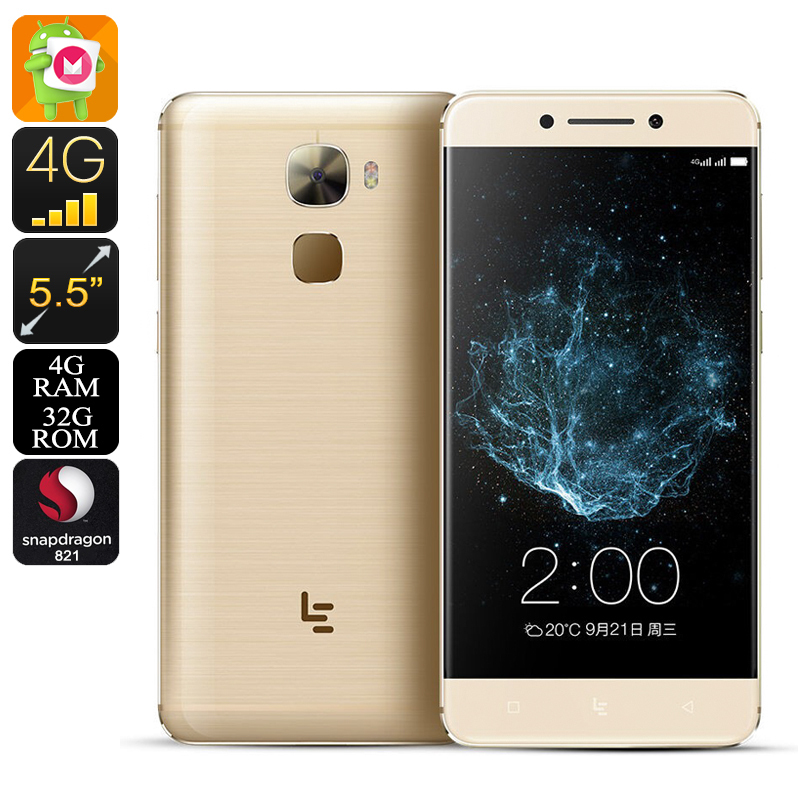 Running on LeEco's custom OS, eUI 5.8, which is based on the Android marshmallow system, you will be able to enjoy all the best functions of Android 6.0 but with a slightly different flavor to it. This is the latest version of software from LeEco and combines a number of performance boost as well as several tweaks for a more immersive and enjoyable experience.